The ECM records vehicle and driving condition information as freeze frame data the moment a DTC is stored. When troubleshooting, freeze frame data can be helpful in determining whether the vehicle was moving or stationary, whether the engine was warmed up or not, whether the air fuel ratio was lean or rich, as well as other data recorded at the time of a malfunction. If it is impossible to replicate the problem even though a DTC is stored, confirm the freeze frame data. Freeze frame data is available in long and short forms. 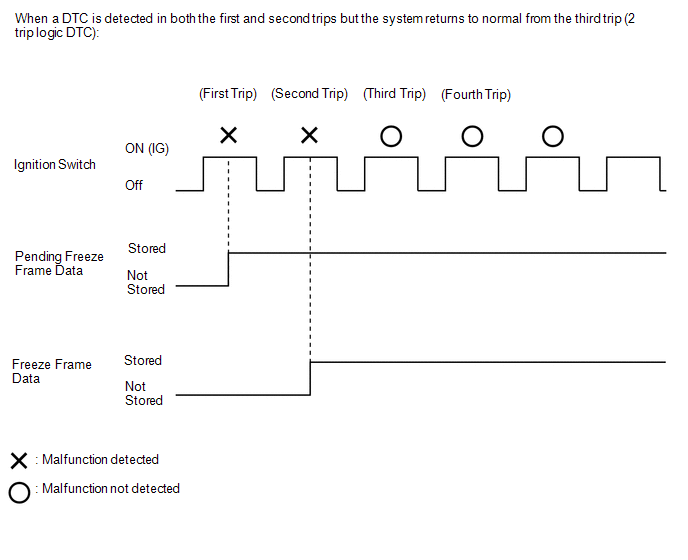 Pending freeze frame data is stored when a 2 trip DTC is first detected during the first trip. (e) Select a DTC in order to display its pending freeze frame data. Using the Techstream, the DTCs are cleared. 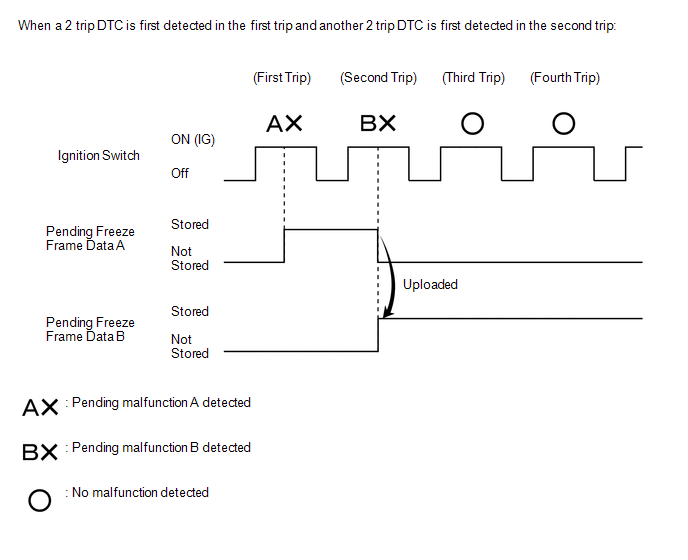 With previous pending freeze frame data stored, if pending freeze frame data is newly stored when a 2 trip DTC is detected in the first trip, the old freeze frame data will be replaced with the new data of the newly detected DTC in the next trip.